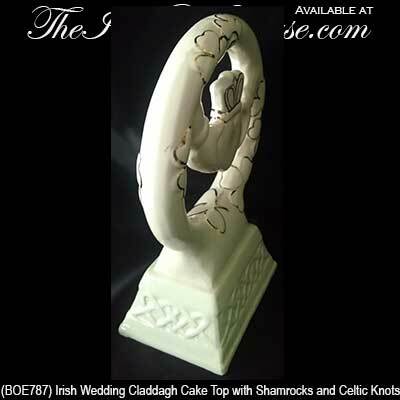 This Claddagh wedding cake topper features Irish icons that include shamrocks and Celtic knot-work. 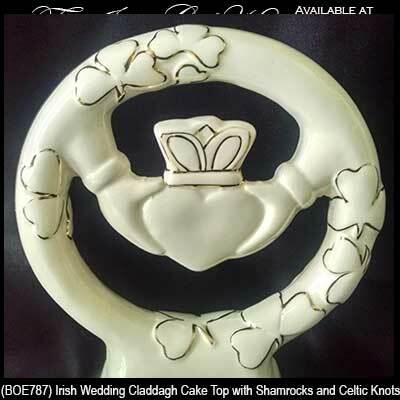 Sorry, the Claddagh cake topper is now sold out. 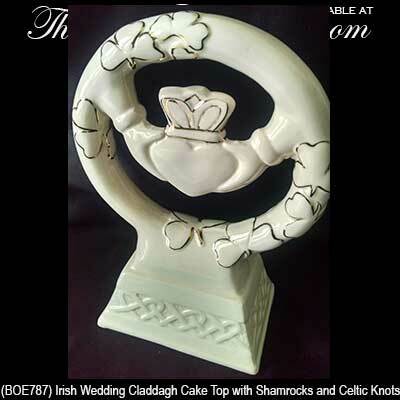 This Irish wedding cake topper features the Claddagh along with gold accented shamrocks and an embossed Celtic knot design on the base. 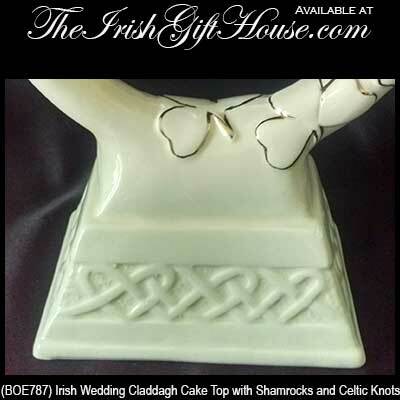 The off white porcelain Claddagh wedding cake topper measures 5 1/4" wide x 7" tall and it is gift boxed with Celtic knot and shamrock history cards along with a Claddagh legend card that are complements of The Irish Gift House.